Tealight Nativity, Recycled Iron, India. 5" Tall. 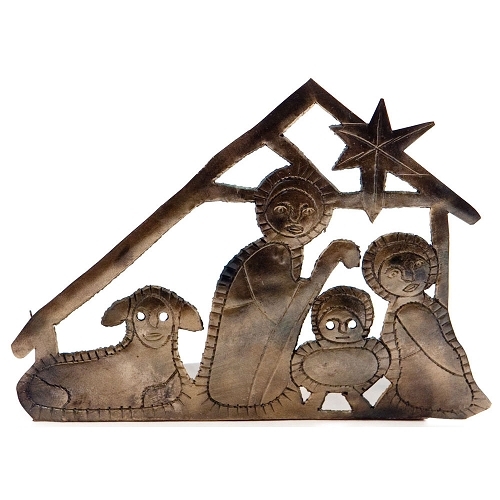 Made from recycled oil drums, this nativity was carved and all made by hand with small tools. The back of the nativity is made into a stand that also holds a tealight candle to help display the nativity in the dark.